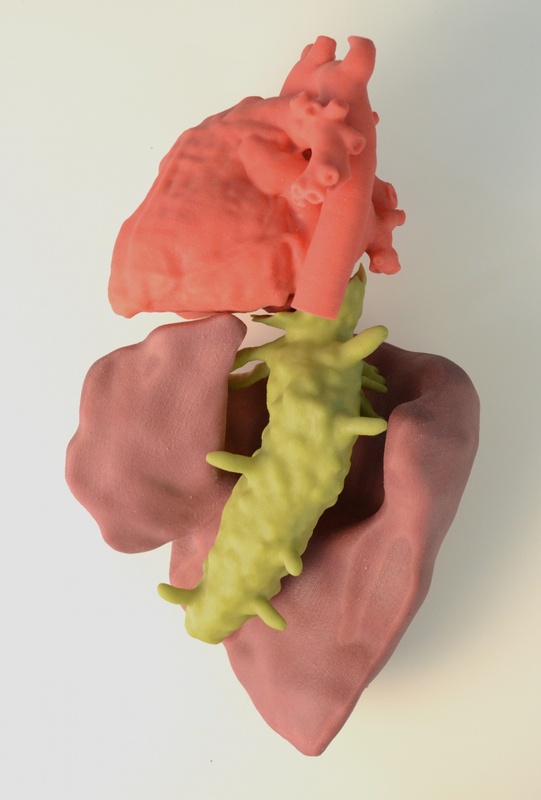 3D Printing , believe it or not is now used in medical facilities around the world. Its uses are many, but the cost amazing one is the ability to reproduce a working model of a patient’s organs and anomalies that are used as diagnostic tools by doctors. They can now scan a person’s organs and see the problems in three dimensions, thus allowing them to make a more solid plan of approach. The medical community is befitting from this technology as well as the patients as it’s something like out of a Star Trek episode. Using 3D scanning, the doctors can scan a person’s innards, print out a model in real tie and then look it over. Surgeons can then map out how they want to approach the problems and this allows for ore practice before procedure. It also allows for keeping a record of the organ or organs and if further scanning need be done at a later point, that data can be compared to the stored model. The devices are now more fine tuned than ever before with new models on the horizon. As doctors and 3D printing engineers share notes, the technologies involved continue to improve. Headlines of the past couple of years discuss how it ay be feasible to 3D print entire organs using a person’s stem cells as a material. Using a scaffold of cartilage, the organ is created layer at a time like any other 3D printing model and then dipped into a solution with the patient’s own stem cells that have been programed to mimic the biological tissue of the organ itself. In other words, if a person needed a new kidney, a scaffold is 3D printed, then the patient’s own stem cells are programmed to turn into kidney tissue, implanted onto the scaffold and the organ then comes to life. So far heart tissue organs are foremost but it’s sure that other organs are in the works. So popular is this approach that it was featured on the popular television show “Grey’s Anatomy” where they used real 3D printing machines an software to demonstrate how it is done. That is a big boos t for the industry as now the public can see where the technology is at and how applicable it is. Soon, it will be viable to have 3D printed organs that work and won’t be rejected by the recipient like most organ transplants are. This will save lives and cut cost drastically, as the need to wait for donors will cease and the millions of people needing replacement organs can have their own organ s grown right before their eyes. Dr. Doris Taylor, one of the world’s leading experts on adult stem cells, the stem cells found in one’s own body, has been working on this for years now. She’s close to finishing and it’s a good bet she’ll be using 3D printing to help along with the process. The 3D organ printing technology has been pioneered in Scotland but the techniques are being duplicated elsewhere.